In Southwest Denver, Colorado, residents of seven Latino neighborhoods are supported by community organizations to act on what most matters to them. It is a young community, with more than one in three people under the age of 18, and in 2009 faced numerous health challenges. These included low educational attainment, high incidence of health disparities, and a lack of access to affordable, healthy foods and safe, quality places for physical activity and play. Economic, language, and cultural barriers created additional challenges to health and wellbeing.  In 2009, Denver Public Health (DPH) received a four-year Healthy Kids, Healthy Communities (HKHC) grant to work with an array of partners to address these and other factors contributing to high rates of childhood obesity in Southwest Denver’s neighborhoods. The HKHC partnership pursued a range of strategies, including active transportation, parks and play spaces, urban agriculture, farmers’ markets, and grocery stores. Nearly 50 organizations representing a variety of sectors, including business, education, government, nonprofit advocacy, and philanthropy, participated in the partnership and offered diverse perspectives. Over time, the partnership expanded and shifted its focus to include a more regional approach, recognizing that policy, systems, and environmental changes needed to occur at the municipal level, while other interventions needed to happen at the neighborhood level. For this reason, the partnership included policymakers working with high-level decision makers as well as grassroots, community-based activists. In addition, leaders of the partnership had an excellent reputation in Southwest Denver, showing a genuine commitment to these neighborhoods over time through their engagement in neighborhood meetings and by nurturing authentic, ongoing conversations about residents’ needs. The Denver HKHC Coalition used various assessment methods to engage community residents and organizations and build relationships with agency partners. These methods included preference surveys, focus groups, pedestrian and bicycle counts, environmental audits, public listening sessions, issue forums and public-design meetings. Instead of simply relying on agencies to collect data and hold traditional outreach events, these assessment methods trained emerging resident leaders, built new networks of relationships, and supported inclusive decision making. This, in turn, improved meeting participation and unearthed new problem-solving methods. It also influenced the timing, design, and investment in plans, policies, and capital projects. The residents’ interest and credibility cultivated through this process transferred to other settings and projects. For example, a sustainability workshop related to parks evolved into an opportunity for a resident leader to inform Denver Parks and Recreation (DPR) staff that many neighbors hadn’t yet realized the opportunity presented by the Weir Gulch project. In response to residents’ recommendations, HKHC collaborated with the City of Denver to improve Weir Gulch, ultimately increasing physical activity, safety, connectivity, and usable open space for recreation. The city also reallocated bond money to construct Cuatro Vientos (Four Winds) Park in the Westwood neighborhood. Amenities included a new playground, a water play feature, a shelter and picnic area, playing fields, and a paved walking trail. While a recreation center is still on residents’ wish list for Southwest Denver, there has been some forward movement. As a result of these experiences, DPR slowed its own Master Drainage Plan development process and take more time to engage the community. From these processes, DPH staff also learned that local data improved communication with elected officials. Partners began using data to develop tailored maps and reports organized by city council districts. They also created more relevant newsletter articles about local health challenges. And frequent data exchanges between agency and community partners helped build even closer relationships among them and improved evaluation capacity. Community change is rarely a linear, predictable process. “Sometimes there’s just more red tape than anyone realizes,” Jennifer Wieczorek Moreland, former HKHC Project Director, explains. The Westwood neighborhood, at that time largely Hispanic, was also a food desert and an evolving cultural home for a growing number of Somali Bantu refugees who lived there. Re:Vision and other partners worked to increase access to healthy food in this neighborhood, starting with the creation of an urban farm. The project was an opportunity for Somali Bantu residents to grow culturally-relevant food, offered a place for community members to cultivate their own produce, and facilitated new connections across ethnic and cultural lines within Westwood. The farm successfully launched after engaging many partners in fundraising and overcoming challenges like obtaining a lease for the land and accessing affordable water. This work complemented and enhanced Re:Vision’s backyard garden program, an initiative that trains families to grow their own produce through a promotora model. Re:Vision hires promotoras from the community to help families plan what they want to grow, discuss how to do it, and help them install the garden plot. And the promotoras’ work continues today. Wieczorek Moreland observes, “One of their biggest victories is the success of the promotora model and acquiring a state grant. It allows them to provide additional training and expand the relationship from backyard gardening to health screenings and other activities. It also helps to promote succession planning for the promotoras program.” The promotora model has also become a formal part of the city’s community engagement efforts, with a new requirement that it be included in all future Denver Parks and Recreation design processes. In addition to increasing access to healthy food, the Denver HKHC Coalition paved the way for active transportation throughout the region when Denver’s Manager of Public Works signed a new Complete Streets Policy in May 2011, complementing the coordinated work already happening to promote active transportation. That policy later earned a high rating from the National Complete Streets Coalition. Denver’s Living Streets Task Force, an HKHC partner, raised the profile of complete streets concepts in Denver and helped ensure the passage of the policy, which details how public works will incorporate complete streets concepts and decision-making into future planning, design, and construction of Denver’s transportation infrastructure. Other active transportation achievements included improved bicycle infrastructure and expanded bike lanes, a revitalized and expanded light rail, a new bike boulevard, and improved access to active transportation for public housing residents through a partnership with Denver B-cycle. According to Wieczorek Moreland, HKHC enabled the partnership to leverage additional funding, increased political support for healthy eating and active living, enhanced residents’ ability to address challenges, and increased demand for healthy environments. Some of the most significant and lasting results include better access to healthy food through garden, farm, and grocery store development; sustained work with safe routes and bike lanes; and a commitment to parks and community engagement with park creation and redevelopment. Other successes that advanced the partnership’s heathy eating goals included new zoning codes that protect urban agriculture, a Memorandum of Understanding (MOU) that allows community gardens on Denver Parks and Recreation land, several new gardens, improved access to Supplemental Nutritional Assistance Program (SNAP) benefits in corner stores located in food desert areas, and increased government support to build new grocery stores in Southwest Denver. With thanks to Transtria, LLC, which led the evaluation of the Healthy Kids, Healthy Communities national program. Kemner A, Brennan LK. Denver Healthy Kids, Healthy Communities Case Report. St. Louis, MO: Transtria LLC; 2014. http://www.transtria.com/hkhc. Accessed July 28, 2017.